We had a wonderful evening commemorating the centenary of the formation of The British West Indies Regiment. It was fantastic to watch our documentary Mutiny on a big screen amidst a great audience at The Bernie Grant Arts Centre. Andrea Levy gave a vivid reading of her short story Uriah’s War, a moving tribute to her grandfather, who went to the Western Front with the British West Indies Regiment. Thank you Andrea. 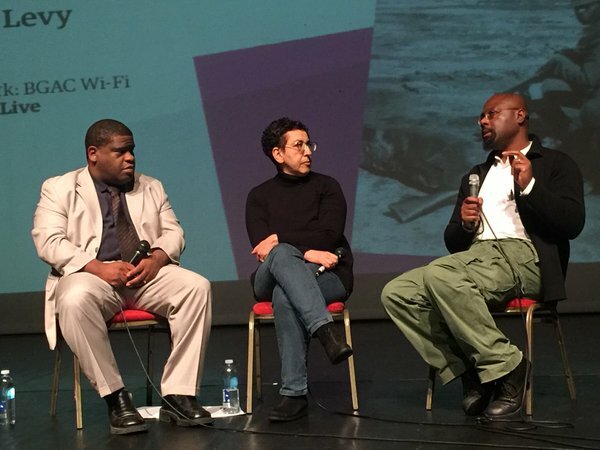 A big thank you also, to Gary Younge for helping us arrange the event. Gary was our host for the evening, and gave us eloquent and thought provoking words about the importance and relevance of this history for understanding our world today.